Move from smartphones to enterprise software is proving to be a smart one for BlackBerry. BlackBerry's transition from a smartphone manufacturer to an enterprise software provider seems to have been a successful one, according to its latest earnings report. Showing figures from its fourth quarter, the company has demonstrated profits that beat analysts' expectations. According to Reuters, the company said it expects “strong billings” at its high-margin software and services for the full year. 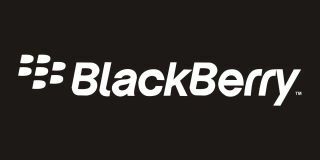 BlackBerry said the revenue from enterprise software and services rose roughly 19 per cent, to a total of $108 million. It had 3,500 enterprise customer orders in the fourth quarter. For the next year, it expects billings to grow in double digits. “Our strategy is working,” Chief Executive Officer John Chen said. BlackBerry, once a mobile devices powerhouse, fell behind Apple and Android-powered devices. Its mobile operating system could not compete with the rising popularity of the two alternatives, despite the strong focus on privacy and data security. This doesn’t mean BlackBerry has completely given up on mobile devices. Its latest models, which do work on Android, have been praised by analysts as devices worth checking out.